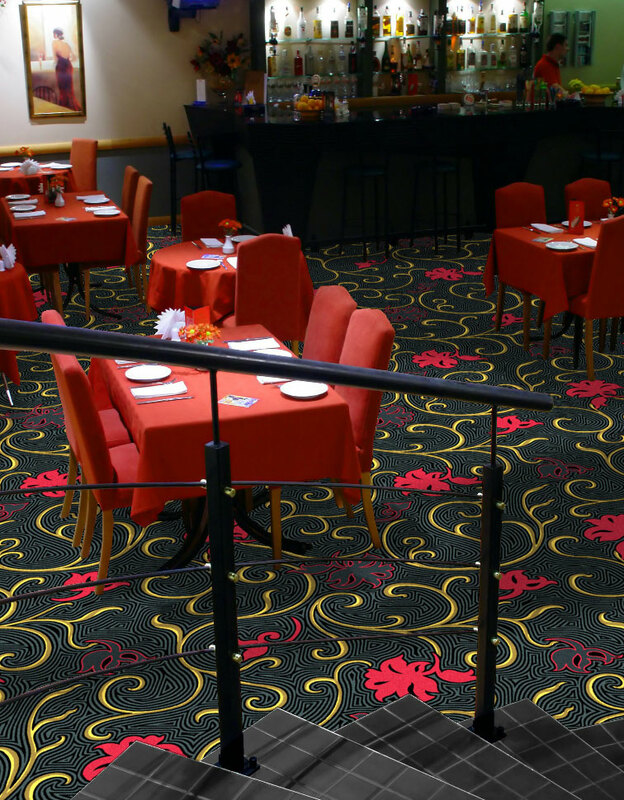 B Carpet has been creating high-quality, custom-crafted carpet for the hospitality industry for 35 years. 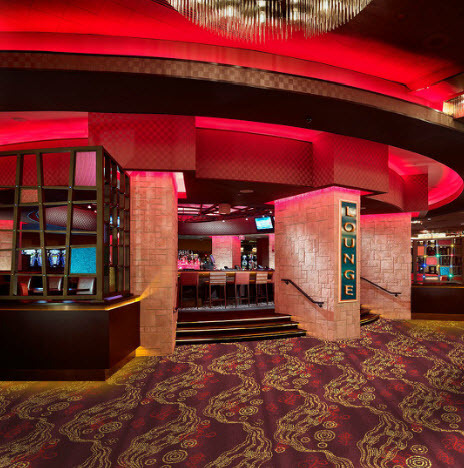 Last summer, the company introduced a new color manufacturing process that accommodates a larger color palette for the commercial carpet it designs. The result: B Carpet products are now more brilliant than ever. 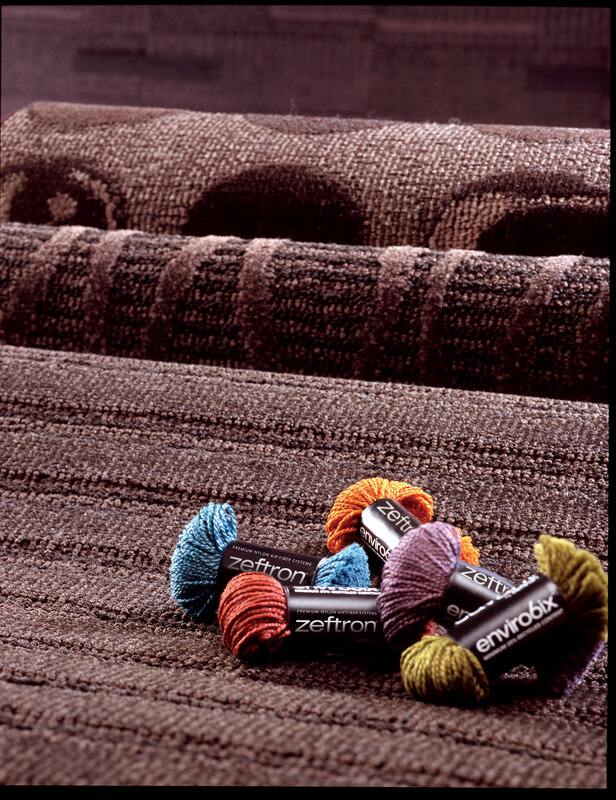 A long-time partner to Zeftron that has been creating custom-made carpets with our premium nylon 6 fiber, we are pleased to feature B Carpet’s President Elizabeth Moore in this special blog article. Here, Moore talks about B Carpet’s new technology, how it works and how it sets B Carpet apart from other commercial carpet manufacturers. Q: What is the name of this new technology? A. We call it Octacia. The name is derived from the fact that it is an eight-color manufacturing process. Oct refers to eight, and “acia” means “yarn” or “thread” in Latin. When we say “8 plus”, we are referencing the fact that there are actually more than eight yarn colors when some of them are cut ends and some of them are loop pile. A. Octacia works with our patented Tapistron computer yarn placement (CYP) technology to now accommodate a larger palette of eight colors. This is something no other CYP tufting machine in the world can do. Traditional CYP machines use six colors, and some machines are limited to cut pile only, which means there are no shades of the six colors to work with. Q. What are the benefits of Octacia? A. We are able to offer the most superior design detail and manufacturing precision in eight colors. 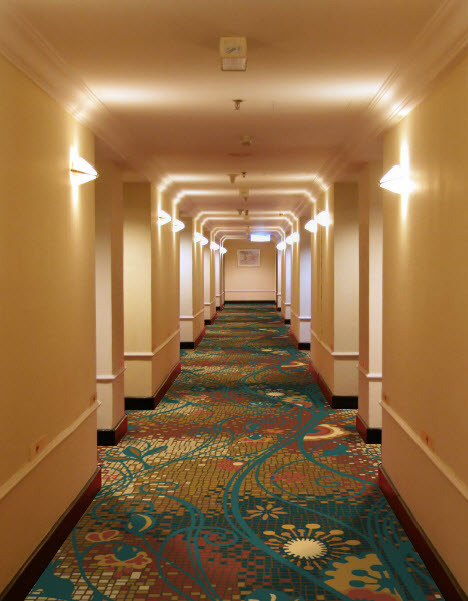 The technology enables us to make various tuft densities and easily run between 100 and 200 tufts per square inch, which provides much more density than an Axminster carpet, for instance. Using the CYP process, we can create unique patterns with all cut pile, all loop pile, or cut and loop custom-designed and custom-colored products for a project using wool or solution-dyed nylon. Most designers feel that a cut and loop CYP give the richest and most elegant design capability of any tufted process other than hand tufted products. So, adding two more yarns to the palette enhances the options quite a bit. Q. How does this new technology help B Carpet compete with Axminster products? A. Woven Axminster products are cut pile only so they cannot be made in cut and loop hand-tufted looks. Also, most woven products come from overseas, and customers are increasingly requesting American made products. 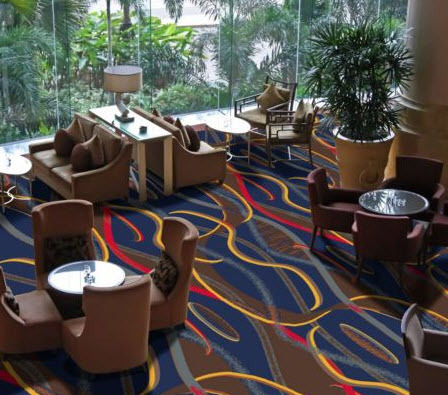 Among the American made choices for tufted designs, the Tapistron technology is a superior alternative to carpet made on Colorpoint and ColorTech machines because of the density and clarity that we can achieve. Q. Are there any environmental benefits to the new technology? A. Yes. Octacia technology is less resource-intensive than other competitive technologies. 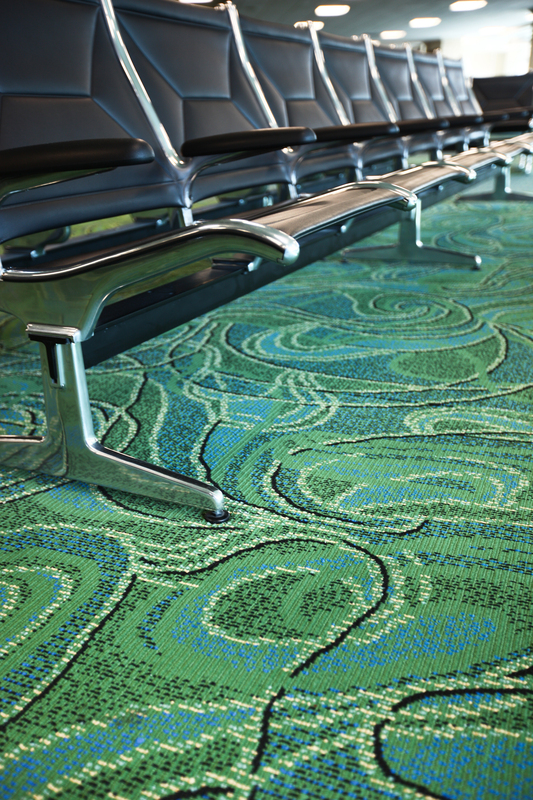 Compared to other tufted products, Octacia technology puts far less waste yarn on the back of the carpet and requires less latex to be used to secure the yarn. It’s a more earth-friendly option than wool Axminster products that contain skein dyed yarn, which produces effluent waste from the dye process. Also, those Axminster products are shipped over long distances, usually from Asia, compared to Octacia products made here in the United States. Q. What does this new technology mean for designers? A. With Octacia, more design ideas can be transformed into beautiful carpets, made in a process that respects the beauty of the environment.